Lakeshore Entertainment/STXfilms’ Peppermint is an action thriller starring Jennifer Garner. 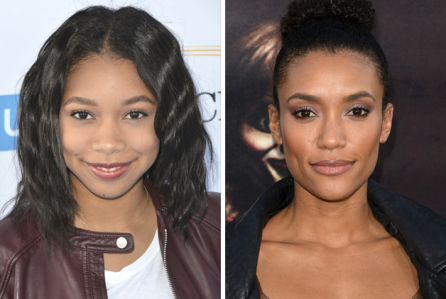 The film has now added Kyla Drew (Prisoners) and Annie Ilonzeh (All Eyez on Me) to the cast. The two join previously announced cast members John Ortiz, Richard Cabral, Juan Pablo Raba and John Gallagher Jr. in the Pierre Morel-directed film, written by Chad St. John. Jennifer Garner will be taking on the role of Riley North, a young mother who awakens from a coma after her husband and daughter are killed in a brutal attack on the family. When she awakens, she finds the system had shielded the murderers from justice. Riley spends years honing her mind, body and spirit to deliver justice while eluding the underworld, the LAPD and the FBI. Drew will play Maria, a homeless street kid whom Riley takes under her protective wing. Ilonzeh is FBI agent Lisa Inman, who tracks Riley down. STX is distributing. Tom Rosenberg, Gary Lucchesi, Eric Reid and Richard Wright are producing the project, while Renee Tab and Christopher Tuffin serve as executive producers.